Anthony Scaramucci may have only been White House Communications Director for ten days, but at least he has a sense of humor about his minuscule tenure. Although he no longer has a formal role in the White House, Scaramucci has definitely kept people talking about him. He also appeared on the Late Show with Stephen Colbert and joked about that infamous recorded phone call peppered with expletives where he criticized then White House Chief of Staff Reince Priebus and now former Chief Strategist Steve Bannon. 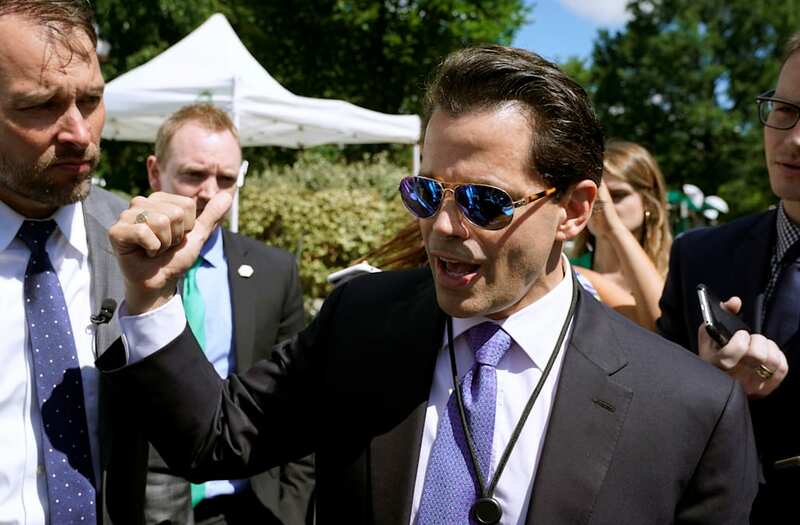 We may be seeing even more of the Mooch possibly on the big screen. Hollywood publicist Howard Bragman tweeted a photo of himself and the Mooch, prompting many to speculate that an Anthony Scaramucci movie may be coming soon.